Shots of the races mosty shots of the corners.. the straights are pretty boring to me. It is something to see just how fast they go on the straights but I enjoy watching them position in order to pass on the exit of a curve or sometimes coming into the curve. The Exhibitionist This guy was in the parking lot behind a building. I kept hearing all this racquet and thought what the heck is this moron doing behind there. Finally I had to go look. Go Karts... 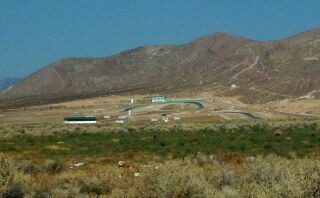 Pretty neat little racing venue. A person could get into this fairly inexpensively and have a lot of fun. The Wheelie Competition This was a contest to see who could ride a wheelie at the highest speed.